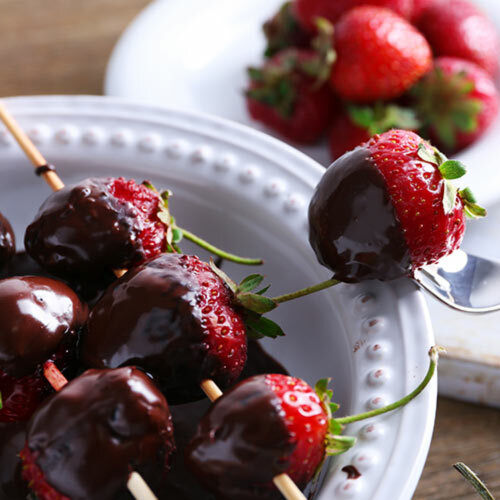 Suitable for compound and high viscosity chocolate with a high percentage of cocoa. 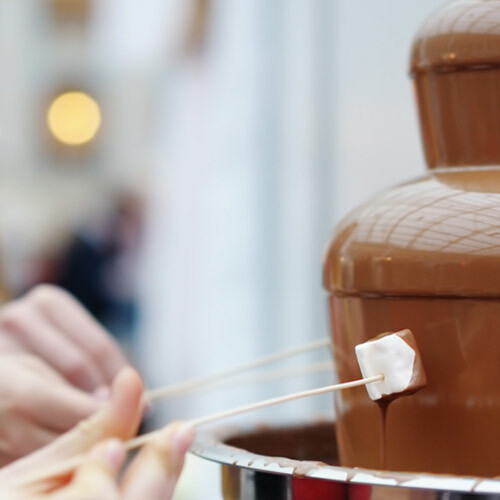 Our Chocolate fountain is a real eye-catcher. 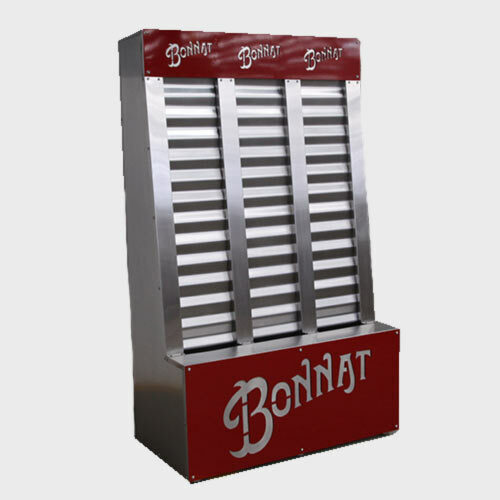 Perfect for presentations of your delicious chocolate, live in your chocolate shop and great at parties. 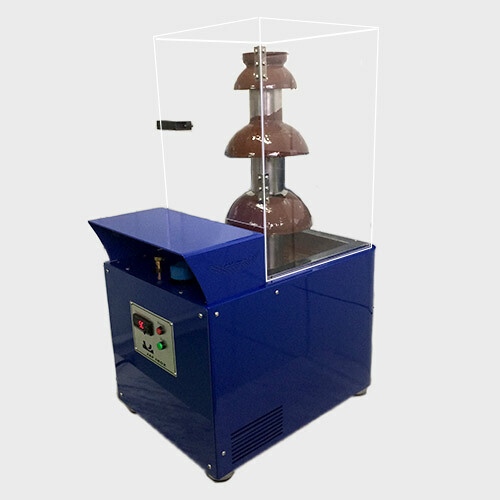 The chocolate fountain is a joy to see and keeps your chocolate melted for a long period. Suitable for compound and high viscosity chocolate with a high percentage of cocoa. Build with industrial components made of stainless steel. 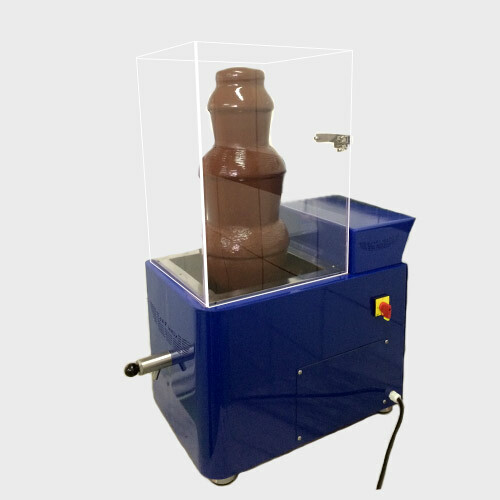 Our chocolate fountain is easy to operate, with a button for heating and on/off switch. Digital temperature control. The fountain requires no periodic maintenance and is easy to assemble/disassemble and clean. Timer: Flow stop of 5 sec, creating a nice visual effect, also melt the chocolate.